Cobo, a Beijing-based cryptocurrency wallet startup, has closed a $13 million Series A funding round in its bid to expand its services overseas. The company announced the latest equity financing on Wednesday, which is backed by Danhua Venture Capital, the NEO Foundation and Wu Capital, a China-based family office and limited partner in funds created by investment firms like Sequoia China. Launched in November 2017, Cobo was founded by Mao Shixing, a.k.a Discus Fish in the Chinese crypto community, and a former Google and Facebook engineer named Jiang Changhao, whose previous crypto wallet startup Bihang was acquired by OKCoin in 2013. Mao is also an early-stage bitcoin investor who dropped out of college at the age of 23 to found F2Pool in 2013, one of the earliest mining pools in China that now owns about 7 percent of the global bitcoin hash rate. Cobo, which now has about 60 people on staff, said the wallet service has been able to amass around 500,000 users – 80 percent of whom come from China – since the app went live early this year, thanks to its offering of a staking pool feature. In addition to cryptocurrencies based on the proof-of-work mechanism, the wallet also allows users to store proof-of-stake crypto assets and consolidate them as a pooled force to continue proof-of-stake mining and distribute block rewards to users on a proportional basis. 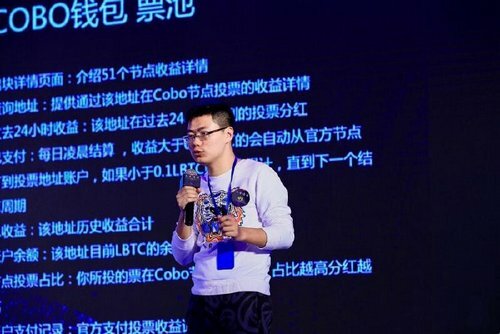 With the new capital, Cobo is eyeing an expansion of its services to other developing economies as the market in China has entered a “plateau,” co-founder and CEO Mao told CoinDesk in an interview. “We are now looking to recruit more engineers as we target to expand to Southeast Asian markets like Vietnam and Indonesia, as well as African countries,” he said. Liu added that Cobo Vault features a self-destruction mechanism, which – upon detection of any physical force of removing the chip that stores private keys – will eliminate all the inside data. After that, users can only regain access to their crypto assets via mnemonic phrases – a set of words that can be translated into private keys. Liu said the company has started the pre-order of the hardware with shipments scheduled around early December. The new funding comes after Cobo raised a total of $7 million in a seed round in October and also a pre-A round in December last year, the company said.